Raj is available to meet in our Bel Air Conference Center, our Baltimore office, and our Maple Lawn office. For almost twenty years, business owners, professionals and retirees concerned about death, disability or other life changing events and the impact they could have upon their loved ones, have actively sought Raj’s counsel in addressing all of their estate planning needs. Aside from Raj's experience and technical skills with these complex and emotional issues, his clients come to him because they know he genuinely cares for them and is willing to go to great lengths to ensure the terms of their estate plans are customized to meet their individual goals. 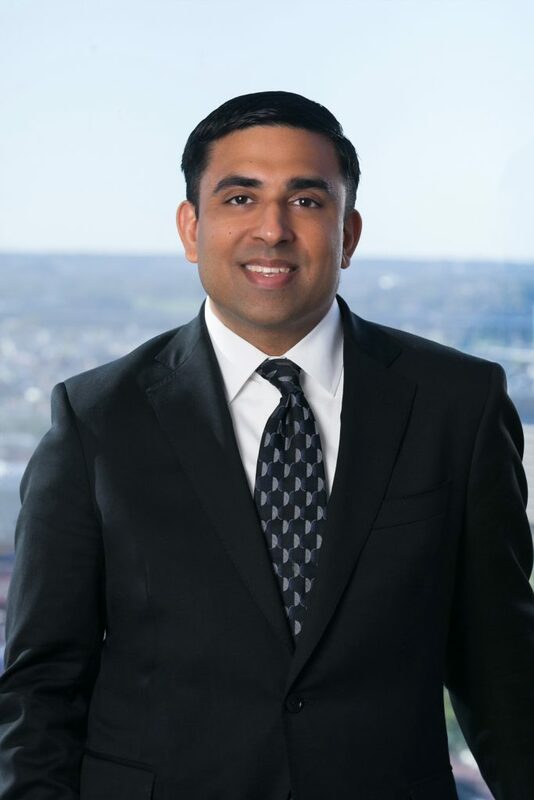 Over the years, this relationship-oriented approach has allowed Raj to build his practice solely by word-of-mouth referrals and is the reason why many other attorneys use him to address their own legal needs. If you are considering creating a will or trust, dealing with the administration of the affairs of a deceased loved one, or seeking options for addressing the care of a special needs child, Raj will go the extra mile to ensure that your needs are the priority. If you are not sure if Raj can handle your specific matter, please call him as he is always willing to point people in the right direction even if he and his firm cannot personally assist you. In 2017, the University of Maryland invited Mr. Goel to host an alumni webinar titled, "Why You Need An Estate Plan (Regardless of Your Age)." To view the webinar, please visit here. In 2016, Mr. Goel was elected to Offit Kurman’s Board of Directors and appointed as Chair of the Estates and Trust Practice. He is also a shareholder of the firm. Raj resides in Bel Air and was raised in Havre de Grace. He received his B.S and J.D. (with health law certificate) from the University of Maryland and is a graduate of John Carroll High School. He remains active in the Harford County community, having served on the operating boards of a number of non-profit organizations, including a one-year gubernatorial appointment to the University System of Maryland Board of Regents.